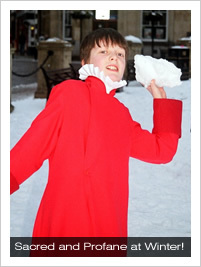 The Festival of Nine Lessons and Carols is sung by our choirs of Boys, Girls and Men on Sunday 19 December at 6:00pm. This is one of the most popular services of the year at All Saints and members of the congregation are asked to arrive no later than 5:30pm to guarantee a seat. 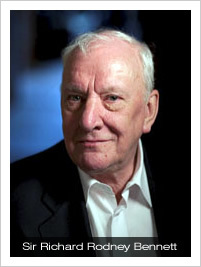 During the service the Choirs give the first performance of two new carols, especially commissioned for the service from Sir Richard Rodney Bennett, known to many as the composer of the music for the films Murder on the Orient Express and Four Weddings and a Funeral. These two carols have been written in memory of Miss Valerie Travis, a long-standing supporter of our music, and set two traditional texts - The Holly and the Ivy and The Shepherd's Carol. For more information on the new carols, and the forthcoming broadcast on BBC Radio 3 of The Holly and the Ivy, please visit the composer's website. On Sunday 12 December at 6:00pm the Girls' Choir perform Britten's Ceremony of Carols, a sequence of medieval carols given the atmospheric accompaniment of harp and candlelight. Alongside this ever-popular, evocative wintry work, the Choir will give the first performance of the Lee Dunleavy's sequence of traditional carols - Make we Merry! 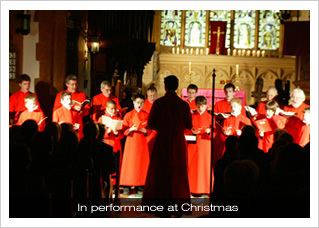 This includes arrangements of many well-known carols, including Away in a Manger, Ding dong, merrily on high and The Angel Gabriel, arranged for girls' voices and harp. “Greater Antiphons” or the “O Antiphons”, add a mood of eager expectation to the liturgy that builds throughout these seven days and climaxes at Christmas. Midnight Mass is at 11:15pm on Christmas Eve and is sung by the Girls and Men to a setting by Cécile Chaminade and includes the anthem The word made flesh by Philip Wilby. Christmas Day sees a said celebration of the Mass at 8:00am with Carols, and the Festal Choral Eucharist of Christmas Day at 10:30am sung by the Boys and Men. The Festal Choral Eucharist will be accompanied by string ensemble, who will join the choir to perform music by Bach and Haydn, as well as a number of your favourite carols. All are welcome to all of our services and events, which are Free with collections being taken to help defray the not inconsiderable costs of mounting such a large programme. For full details of all our choral services, please see our Service List.